Welcome to the Rocket City! We welcome space and missile defense professionals to Huntsville for the annual SMD Symposium, and we&apos;re here to serve as your guide to the city. 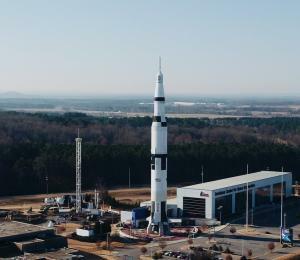 Everything from local restaurants, breweries and nightlife, things to do while you&apos;re in town, and more, we want your visit to the Rocket City to be... out of this world. Both Uber and Lyft services are available in Huntsville. Enjoy Downtown Huntsville&apos;s Arts & Entertainment District with special extended hours, August 6-8. From 5 p.m. - 11 p.m., grab a local craft beer or cocktail to go, stroll the shops, and take in the beauty of our historic downtown area.